In early January 2018 it was announced that the Parole Board had assessed John Worboys (aka Radford) as suitable for release on licence from prison - post 5 January 2018. There was a judicial review of that decision - post 29 March 2018 - and Worboys remains in prison. These events led to the controversial departure of Professor Nick Hardwick, the Parole Board Chairman. The Secretary of State for Justice (Mr David Gauke MP) gave Professor Hardwick no real option but to resign. Since then a new Board Chair, Caroline Corby, has been appointed with effect from 1 November 2018.
possible changes to safeguard the independence of the Board in the light R (Wakenshaw) v Secretary of State for Justice  EWHC 2089 (Admin) where Mostyn J held that the provisions for tenure of Parole Board membership failed the test of objective independence - see previous post 9 August 2018. The Review provides for a new, though somewhat limited, reconsideration mechanism so if there is a seriously flawed release decision by the Parole Board it can be looked at again without the need for judicial review. See also The Guardian - Crime Victims get power to challenge prisoners' release. 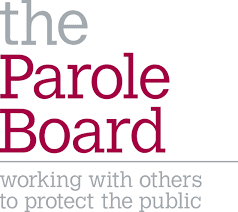 The Secretary of State also confirmed that he has launched a Tailored Review of the Parole Board which will consider what further changes over the longer term would benefit the parole process. There are no restrictions on the scope of this work, which will be wide-ranging and will report back by the summer before publishing its findings. 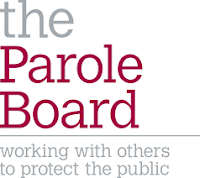 It will consider fundamental issues such as the purpose of the Parole Board, which functions it should deliver, its efficiency and effectiveness and its structure, including whether it should become a judge-led tribunal. This also includes assessing whether the Parole Board should receive additional powers and be monitored by an independent inspectorate.